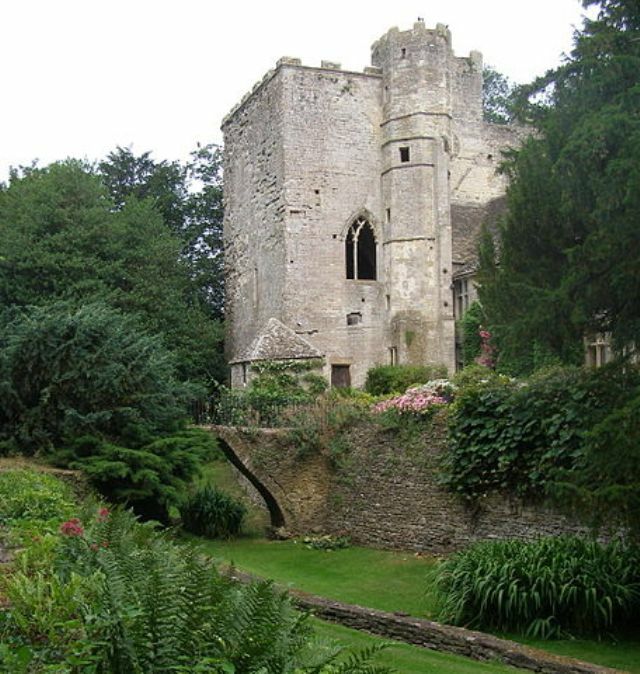 Notes: Beverston Castle, also known as Beverstone Castle, was constructed as a medieval stone fortress and is situated in the village of Beverston, Gloucestershire, England. The castle was founded in 1229 by Maurice de Gaunt.Much of the castle was in the state of ruin in 2011, but a portion of the structure is occupied, and an expansive handsome garden is part of the estate. The castle is situated in the centre of Beverston village, approximately 200 metres north of the A4135 road transecting Beverston. In 2006, Beverston Castle was in private ownership. The ancient moat has been incorporated into the expansive and well-cared-for garden. The gardens are considered a good site for viewing orchids.The southern entrance to the castle is by way of a bridge over the vestigial moat. Vehicle access to the north side of the castle is through the ancient gatehouse arch.